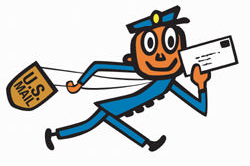 ZIP Codes are categories for grouping mailing addresses and are not exact geographic regions. The centroid of a ZIP Code may be in one County and the associated city/town in another. In rural areas, a single ZIP Code may be used for cities and towns in several different Counties / Independent Cities. ZIP Code "areas" can overlap, be subsets of each other, or be artificial constructs with no geographic area. ZIP Codes are only loosely tied to cities.